According to FBI and Dr. Lemieux, a professor in Police and Security Studies, terrorists create fears using violence that threaten human life. Their actions are against law as it destructs government policy and action. There is terrorism when there is human try to affect politic using violence. The history can be traced to 1st century AD when Sicarii group of Jewish Zealots opposed to Roman occupation. The word "terrorism" first appeared during French Revolution in 1789, defined as "system or rule of terror" (Roberts, 2002). I am focusing on ISIS, as it is more relevant to the essay topic for its heavy use on media. Other examples of terrorist group: Abu Sayyaf, Al-Qaeda, Kul Klux Klan. What ISIS is? What is their intention? Islamic State of the Iraq and the Levant (ISIS) is lead by Abu Bakr al-Baghdadi, it is a Sunni militant jihadist organisation. Its ambition is to build a caliphate through global war that emerge across America and Europe, and eventually lead Muslims to battle against "disbelievers"). Besides, Baghdadi declared that IS does not recognize man-made borders of nations and any citizenship besides Islam. They also intends to purify Islam by eliminating Shia Muslims (Lister, 2015). Diagram 1: ISIS territory map in 2016. 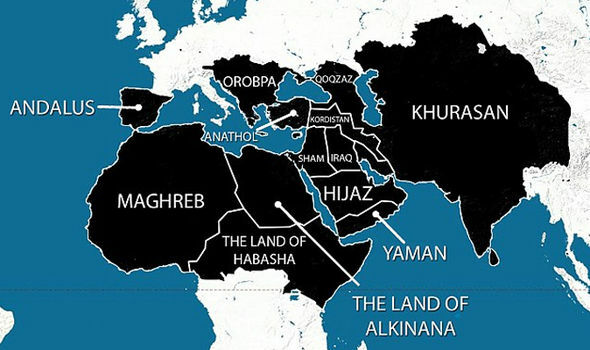 Diagram 2: Black labeled the areas that ISIS want to control (Urban, 2014). What is the beginning of all this chaos? At the beginning of 20th century, new borders of Ottoman Empire had been drawn by British and it was separated into today's Iraq, Turkey, Syria, Jordan, Lebanon, and Kuwait. As the separation was carried out without proper consideration (the British counselor just use a pencil and ruler and draw a straight line on map to separate it), the natural-formed region based on geography and population was broke down, and three ethnic groups of Sunni, Shia and Kurdish were forced gathered to form Iraq. Sunni and Shia is opposed to each other since the long history after death of Nabi Muhammad. After British colonial left, Sunni's Saddam Hussein dictated Iraq, he launched Iran-Iraq war that killed over 100,000 Iraqis, due to his worry of Shia's rebellious. After several times of Kurds attempted to form their independent country, Saddam launched al-Anfal campaign to eliminate the north Kurds. 15,000 to 180,000 of Kurds were killed in year 1988's gas poisoning. U.S. joined the chaos in 2003 and left after 8 years. It temporary controlled the situation from getting worst. Starting from here, a perfect opportunity for terrorist arisen. 1. When U.S. left Iraq, the immatured new government led by Shia arrested and cruelly treated Sunni civilians and leaders, even the resisting emotion spread among government army. 2. The sudden expansion of Shias' power that took over the heart of Middle East challenged Saudi Arabia that is the most powerful Sunni's nation, At the time, Saudi Arabia was having Cold War with Iran that majority occupied by Shias. Therefore it causes the opposite position of these two country towards ISIS which is a Sunni organisation. ISIS can gain benefits from a occupation that is oppose to Shias. 3. Borders of Iraq and Syria loosen and created a hiding site for terrorists. 4. Attitude of Western power that does not want to get involved in these troubles. ISIS get world's attention starting from 2014, when they attacked and controlled the west of Iraq (Urban, 2014). Their brutal action and cruelty even made al-Qaeda declared that they have no relationship with ISIS. Information above in this subtopic is sourced from article From Muhammad to ISIS: Iraq’s Full Story by Tim Urban, which helped me a lot in understanding the complicated relationship happening in Middle East regarding war and terrorism. It is a good introduction rather than information pieces found on web that gave me headache in understanding it. After studying history of Islam, I suspect that extremist Muslims might seen ISIS as an opportunity or hope in reviving the glory of Islamic kingdom. Besides, Baghdadi proclaimed that the caliph will ruled using Sunni's Syariah law even attracts the extremists for him. Question: But first, how does ISIS shape a person into extremist that even willing to be a jihadist that might sacrify themselves in war? an armed person who involves in action that violate law of war. Term to describe state that restrict human rights, sponsor terroristss or approve crime activities that not allowed in other counties. The term is mostly used by United State, it is replaced by "State of Concern" since year 2000 (Wikipedia, 2016). "The Base", military group founded by Osama bin Laden in late 1980's of Afghanistan. They aimed to build a single Islamic leadership state, revenge on Christian and Jews and take control of non-Muslim of Saudi-Arabia (BBC News, n.d.). International campaign that against terrorism after incident of 9/11 which is launched by Al-Qaeda, the purpose is to eliminate terrorism in the world. Terrorism uses asymmetrical warfare tactic which a weaker group is fighting with a powerful nation. It is imbalance as military power of one side is not at the same level of their opponent. Hijacking and bombing to civilians is asymmetrical because terrorists is attacking those who does not own military weapons (Sexton, 2014). Is military relationship between terrorist and government symmetrical? How far the ability of a country in fighting against terrorism? Terrorists location and action plan are unknown, that is their dominant advantage. They can be anyone at anywhere, which is hard to track down by government securities. Although the country has organized and well-trained army with support of the whole nation that should be easy to wipe out the enemy, but there is hard to do so as terrorists are good in playing hide-and-seek such as suicide bombing. Other than that, even though a terrorist group is eliminated, there will appear another as the mindset of terrorist does not stop spreading. Therefore many of the country governments launched campaigns and propaganda to win people's heart and mind, which is in soft power instead of only focus on military. Warfare between terrorist and government is symmetrical, their power came from different kind of perspective and there are trying hard to win in that particular sector. Burton, C. (2002) More than Meets the Eye: An Introduction to Media Studies. London: Hodder Education Publishers.